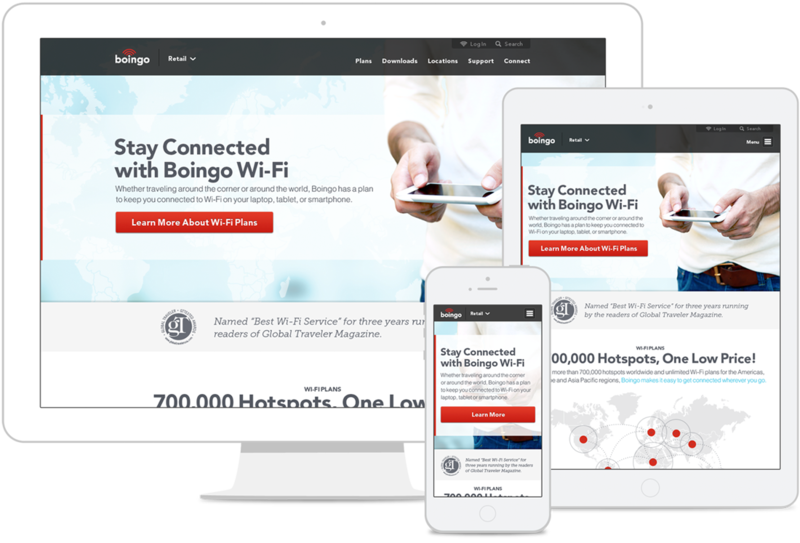 Boingo Wireless is one of the world's largest Wi-Fi providers. 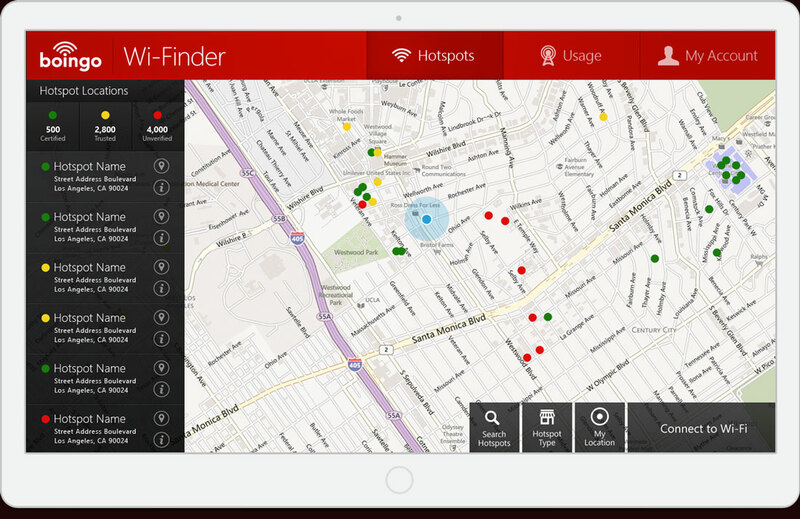 The brand's visual presence and user experience across platforms was dated and in desperate need of an update. 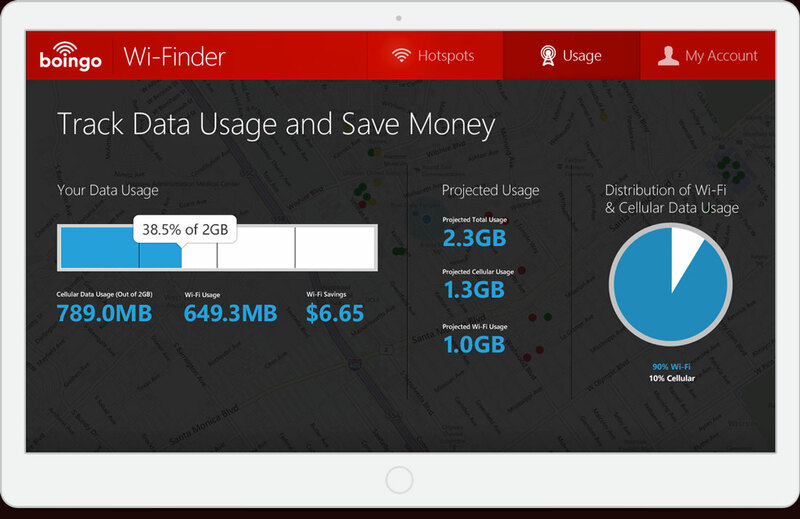 A rebrand to visually represent the leading Wi-Fi provider was at hand. 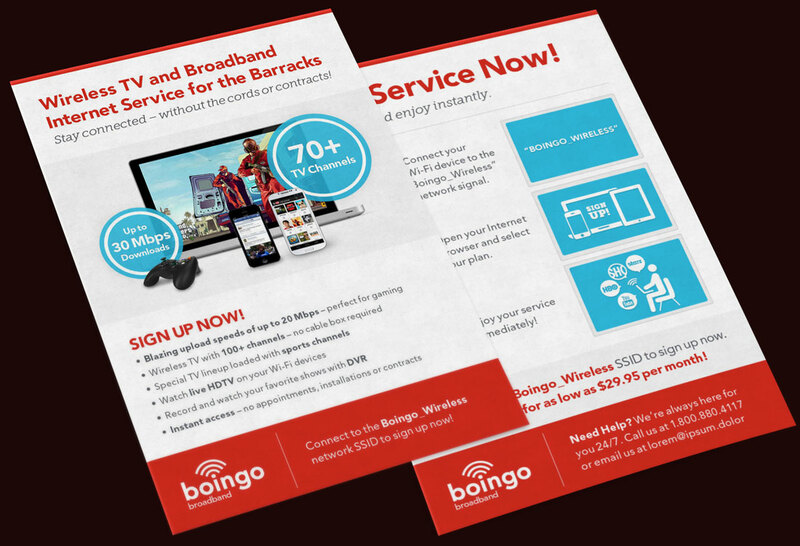 The Boingo Rebrand project began with myself and several other designers creating a series of unique moodboards to define the direction that Boingo wanted to take their brand. Elements from a few of the different directions were chosen, and design options were explored. Below are some of the design elements that were standardized as part of the rebrand process. 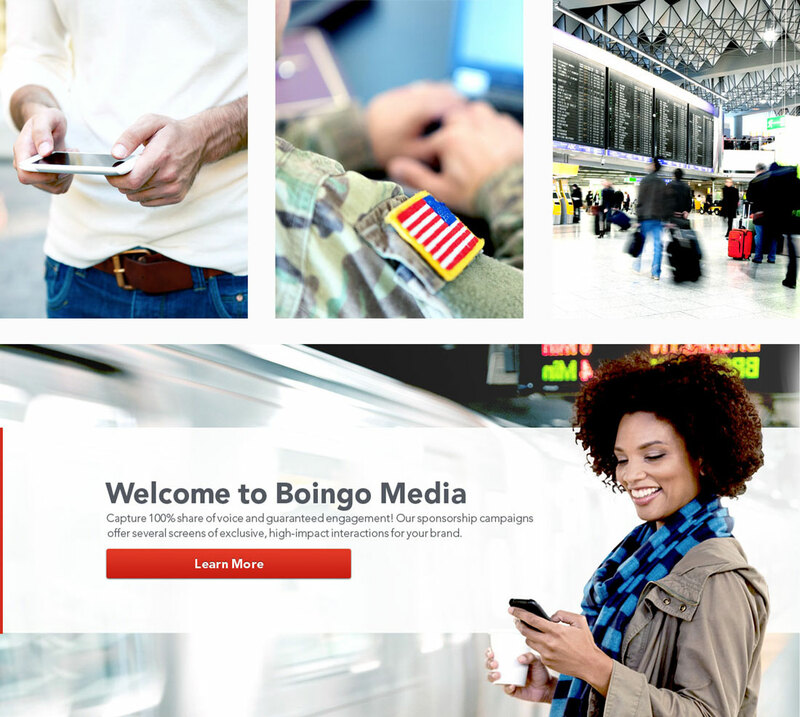 A mobile-first and responsive design strategy was taken when considerings Boingo's web pages. 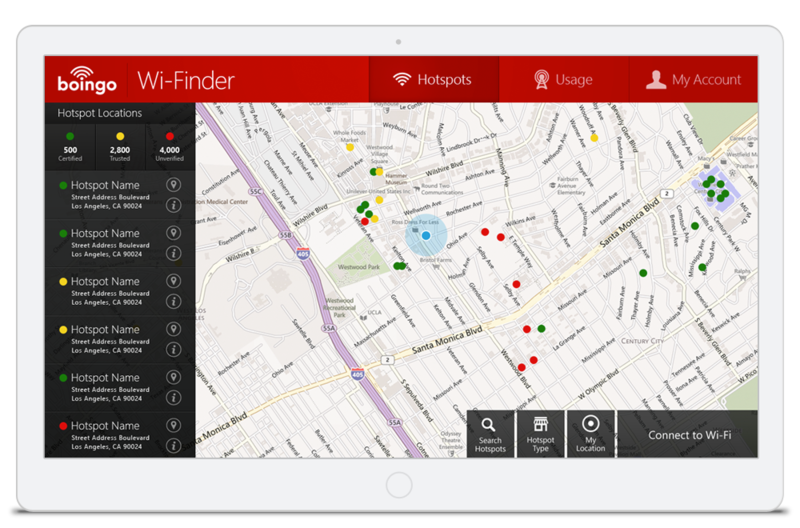 Designs and interactions were made to be simple, and content was designed to be friendly, yet straightforward. 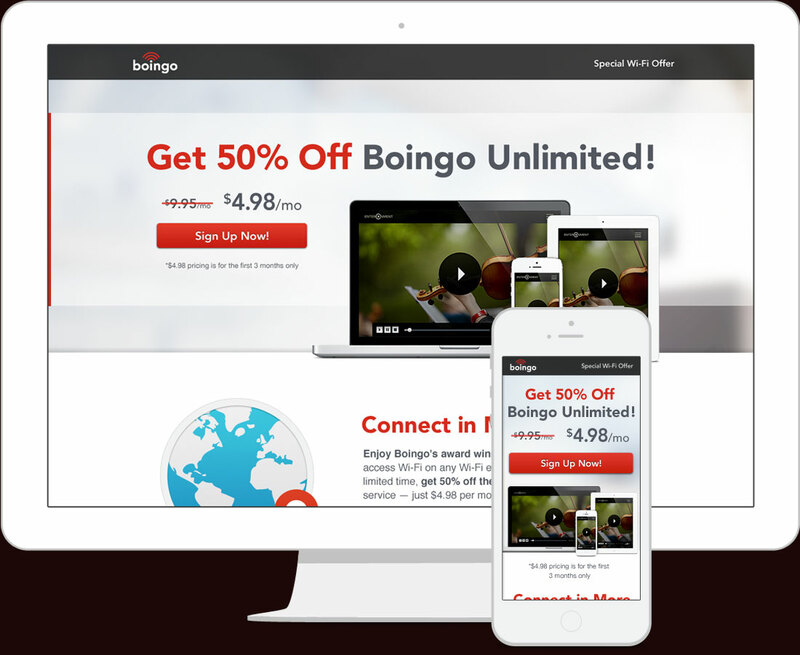 The design for Boingo's website was also fully thought through after this brand design took place.